Bonnie Charlie refers to Charles Edward Louis John Casimir Silvester Maria Stuart. It’s a Jacobite song. Charles the exiled claimant to the thrones of England, Scotland, and Ireland, and was commonly known as Bonnie Prince Charlie. Charles was the son of James Francis Edward Stuart who was in turn the son of King James II of England and Ireland (James VII of Scotland), who had been deposed in the Revolution of 1688. The Jacobite movement tried to restore the family to the throne. Charles' mother was James' Polish wife, Maria Clementina Sobieska (1702–1735). After his father's death Charles was recognized as King Charles III by his supporters; his opponents referred to him as The Young Pretender. The melody was written by Neil Gow (1727-1807) and the lyrics by Lady Nairne (1766–1845). Niel Gow (1727–1807) was possibly the most famous Scottish fiddler of the 18th century. Gow (shown above) was born in Inver, Perthshire, as the son of John Gow and Catherine McEwan. He started playing the fiddle when very young and at age 13 received his first formal lessons from one John Cameron. In spite of being something of a musical prodigy, he originally trained as a plaid weaver, but eventually gave up that trade to become a full-time musician. He was widely considered the best fiddle player in Perthshire, an area which was renowned for its musicians - the story goes that at age 18 he entered a competition that was being judged by John McCraw, a blind musician, who awarded him the first prize and then went on to claim that he "would ken his bow hand among a hunder players" (detect Niel's style among a hundred players). This attracted the attention of the Duke of Atholl, who became Niel's patron, and also ensured Niel's employment for balls and dance parties put on by the local nobility. In time he became renowned as a fiddler. Niel Gow was married twice. His first wife was Margaret Wiseman, and they had five sons , as well as three daughters. His sons William, Andrew (1760), Nathaniel (1763) and John (1764) all followed their father as fiddlers and composers of fiddle music, and the daughters were Margaret (1759), Grizel (1761). 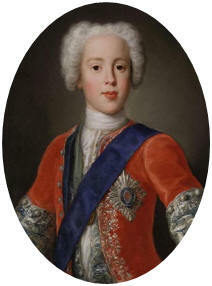 The youngest son Daniel (1765) died in infancy. William died in 1791 at age 40, and Andrew died in 1794.. He married his second wife Margaret Urquhart at Perth in 1768. Of Niel's sons, Nathaniel is by far the most well-known and another fine composer of Scottish music, with nearly 200 tunes to his credit. After having been widowed, Niel married Margaret Urquhart from Perth in 1768, and they went on to share a happy married life until she died in 1805. Niel was deeply hurt by her death, and stopped playing the fiddle for a while. His friends finally convinced him to pick it up again, and the first thing he played was his '...Lament for the Death of his Second Wife' (see compositions). Niel died at Inver on 1 March 1807, aged 80. Carolina Oliphant, Baroness Nairne (August 16, 1766–October 26, 1845) was a Scottish songwriter and song collector. Carolina Oliphant was born in the auld hoose of Gask, Perthshire. She was descended from an old family which had settled in Perthshire in the 13th century, and could boast of kinship with the royal race of Scotland. Her father, Laurence Oliphant, was one of the foremost supporters of the Jacobite cause, and she was named Carolina in memory of Prince Charles Edward Stuart. In the schoolroom she was known as pretty Miss Car, and afterwards her striking beauty and pleasing manners earned for her the name of the Flower of Strathearn. In 1806 she married William Murray Nairne, who became the 5th Baron Nairne in 1824. After her husband's death in 1830 Lady Nairne took up her residence at Enniskerry, Co. Wicklow, Ireland, but she spent much time abroad. She died at Gask on the 26 October 1845. Better lo'ed ye canna be. That aye beats warm for thine and thee. Oh, there is nane that would betray!